Nelly Sachs, (December 10, 1891 – May 12, 1970) was a German poet and dramatist, whose Nazi experience transformed her into a poignant spokesperson for the grief and yearnings of her fellow Jews. Her best-known play is Eli: Ein Mysterienspiel vom Leiden Israels, which translates to Eli: A Mystery Play of the Sufferings of Isreal, which was written in 1951, and included in the O Chimneys collection of her works. Other works include the poems "Zeichen im Sand" (1962), "Verzauberung" (1970), and the collections of poetry, In den Wohnungen des Todes (1947), Flucht und Verwandlung (1959), Fahrt ins Staublose (1961), and Suche nach Lebenden (1971). In 1965, she was awarded the German Publishers Peace Prize and in 1966, she received the Nobel Peace Prize for Literature. Sachs' fusion of grief with subtly romantic elements is in keeping with the imagery of the kabbalah, or Jewish mystical tradition, where the Shekhinah represents God's presence on earth and mourns for the separation of God from His people in their suffering. Thus Sachs' Romanticism allowed her to develop self-consciously from a German to a Jewish writer, with a corresponding change in her language. This was always flowery and conventional but in some of poetry on the Holocaust, it becomes ever more compressed and surreal, returning to a series of the same images and tropes (dust, stars, breath, stones and jewels, blood, dancers, fish suffering out of water, madness, and the ever-frustrated love) in ways that are sometimes comprehensible only to her readers, but always moving and disturbing. Nelly Sachs continued her Jewish activist work throughout the remainder of her life, and died of cancer on May 12, 1970. Nelly Sachs was born as Leonie Sachs in Schöneberg, Berlin, in 1891, to Margareta (Karger) Sachs and William Sachs, a prosperous manufacturer and inventor. Sachs grew up in Tiergarten, a fashionable section of town, with her parents. She was educated at home due to her frail health at a young age. Sachs studied music, literature, and dance during her private lessons, and then later in school. She showed early signs of talent as a dancer, but her protective parents did not encourage her to pursue the profession. She grew up as a very sheltered, introverted young woman, and never married. At the age of fifteen, she began an extensive correspondence with Selma Lagerlöf, a famous Swedish author at the time, which lasted over thirty five years. As the Nazis took power, she became increasingly terrified. She suffered from health issues because of this fear, at one point even losing the power of speech, as she would remember in verse: "When the great terror came/I fell dumb". During the 1920s and 1930s, Sachs' lyrical works appeared in newspapers and magazines, but she never became a visible part of the literary scene in Berlin. The Nazis seized power in 1933, and Sachs' life became even more recluse. After her father died in 1930, she lived with her mother, and fled with her aged mother to Sweden in 1940. Her friendship with Lagerlöf had saved her life and that of her mother when shortly before her own death, Lagerlöf intervened with the Swedish royal family to secure their release from Germany. Sachs and her mother finally escaped on the last airplane flight to leave Nazi Germany for Sweden, a week before Sachs was scheduled to report to a concentration camp. It was not until 1960, when she visited Germany again. Living in a tiny two-room apartment in Stockholm, Sachs cared alone for her mother for many years, and supported their existence by performing translations between Swedish and German. After her mother's death in 1950, Sachs suffered several nervous breakdowns characterized by hallucinations, paranoia, and delusions of persecution by Nazis, which caused her to spend a number of years in a mental institution. She continued to write even while hospitalized. She eventually recovered well enough to live on her own again, though her stability would always be fragile. Her worst breakdown was ostensibly precipitated by hearing German speech during a trip to Switzerland to accept a literary prize. However, she maintained a forgiving attitude toward a younger generation of Germans, and corresponded with many German-speaking writers of the postwar period, including Hans Magnus Enzensberger and Ingeborg Bachmann. Sachs became a Swedish citizen in 1953, and felt her allegiance more powerfully to Sweden than Germany. In the context of the Shoah, her deep friendship with "brother" poet Paul Celan is often noted today. Their bond was described in one of Celan's most famous poems, "Zurich, zum Storchen." Sachs and Celan shared their concern of the Holocaust, the fate of the Jews throughout history, their interest in Jewish and Christian mysticism, and their literary models; their imagery was often remarkably similar even though it was developed independently. However, their friendship had the unfortunate side effect of intensifying each other's paranoia. Celan also suffered from fears of persecution (he blamed Yvan Goll's accusations of plagiarism on anti-Semitism) and frustration over the reception of his work. When Sachs met Celan she was embroiled in a long dispute with Finnish-Jewish composer Moses Pergament's musical adaptation of her stage play Eli: Ein Mysterienspiel vom Leiden Israels. Her relationship to Pergament became entangled with her paranoia, with Sachs repeatedly accusing Pergament of not believing her delusions of persecution. In Celan, she found someone who appeared to believe her, which was a comfort to her. However, the two friends' effect on each other, such as Sachs was first institutionalization shortly after her only visit to Celan, was detrimental to both of their health. In 1961, Sachs became the inaugural winner of the Nelly Sachs Prize, a literary prize awarded biennially by the city of Dortmund, and named in her honor. When, with Shmuel Yosef Agnon, she was awarded the 1966 Nobel Prize for Literature, she observed that Agnon represented Israel whereas "I represent the tragedy of the Jewish people." Following her death from intestinal cancer in 1970, Nelly Sachs was interred in the Norra begravningsplatsen in Stockholm. Sachs' poetry is intensely lyrical and shows some influence by German Romanticism, especially her early work. The poetry she wrote as a young woman in Berlin is more inspired by Christianity than Judaism, and makes use of traditional Romantic imagery and themes. Much of it concerns an unhappy love affair Sachs suffered in her teens, with a non-Jewish man who would eventually be killed in a concentration camp. After Sachs learned of her only love interest's death, she bound up his fate with that of her people, to write many love lyrics ending not only in the beloved's death, but in the catastrophe of the Holocaust. Sachs herself mourned no longer as a jilted lover, but as a personification of the Jewish people in their vexed relationship to history and God. Sachs' fusion of grief with subtly romantic elements is in keeping with the imagery of the kabbalah, where the Shekhinah represents God's presence on earth and mourns for the separation of God from His people in their suffering. Thus Sachs' Romanticism allowed her to develop self-consciously from a German to a Jewish writer, with a corresponding change in her language: Still flowery and conventional in some of her first poetry on the Holocaust, it becomes ever more compressed and surreal, returning to a series of the same images and tropes (dust, stars, breath, stones and jewels, blood, dancers, fish suffering out of water, madness, and the ever-frustrated love) in ways that are sometimes comprehensible only to her readers, but always moving and disturbing. Though Sachs does not resemble many authors, she appears to have been influenced by Gertrud Kolmar and Else Lasker-Schuler in addition to Paul Celan. Her poetry did not instill hatred of the perpetrators of the Holocaust, but plumbed the depth of the human depravity that could act so inhumanely, and cause such suffering while she yet affirmed that ultimately humaneness cannot be vanquished, since there will be no end to humanity. Harmony and forgiveness loomed large in her poetry. This year's Nobel Prize in Literature has been awarded to two outstanding Jewish authors—Shmuel Yosef Agnon and Nelly Sachs—each of whom represents Israel's message to our time. Agnon's home is in Jerusalem, and Miss Sachs has been an immigrant in Sweden since 1940, and is now a Swedish subject. The purpose of combining these two prizewinners is to do justice to the individual achievements of each, and the sharing of the prize has its special justification: To honor two writers who, although they write in different languages, are united in a spiritual kinship and complement each other in a superb effort to present the cultural heritage of the Jewish people through the written word. Their common source of inspiration has been, for both of them, a vital power. 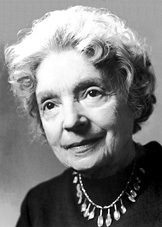 After receiving the award, Nelly Sachs stated that, "In spite of all the horrors past, I believe you," in the theme of forgiveness presented in most of her poems. A memorial plaque commemorates her birthplace, Maaßenstraße 12, in Schöneberg, Berlin, where there is also a memorial park, in Dennewitzstraße, named after her. Sachs' works are now translated into numerous languages, and continue to grow respect and remembrance for the Jewish suffers during the Holocaust. She is still praised today for her efforts in writing and for her activism. All links retrieved November 15, 2018. This page was last modified on 15 November 2018, at 23:20.